Rustic in its look, and yet piled up with sophistication and class, Iron Pendant Lamps Brass Powder Coated Lamps are one of the favored choices for home decor these days. Available at our online website on this specific web-link, Brass Pendant Lamps are preferred because of its deep color aesthetics and sturdiness. These are highly durable and unbreakable items because it is made with iron. Considering that, one may get worried that it will rust. But that is not true, as being alloyed with brass it develops anti-rust properties. If you are looking for nice lamps for your home or office, then Pendant Brass Lamps are perfect antiques for you. 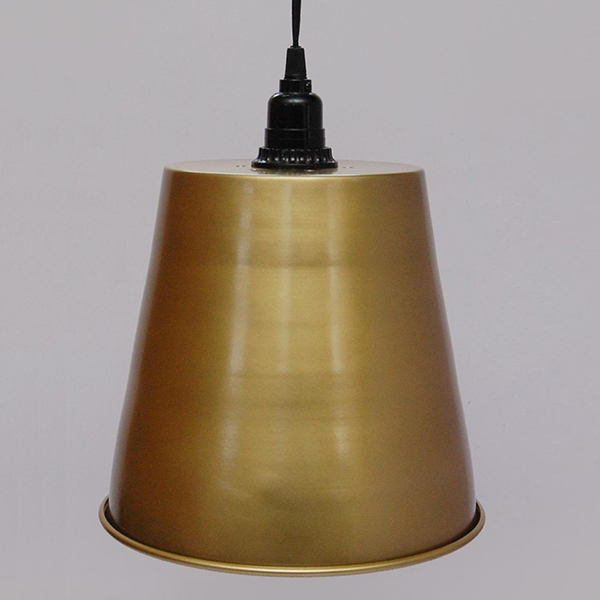 Choose from a wide range of beautifully designed Brass Pendant Lamps according to your own suitable budget and add color not just to your home decor but also to your life.